Students who would like to study their degree in different parts of India and abroad can join our college for this course. We do not provide it as a distant education [corres] course. We provide the regular 2yr course. hence the certificate is valid all over the world. Our students are mainly from MIDDLE EAST. Sensing a long felt need, the promoters of SKS Hospital formed VS Educational Trust (VSET), a non-profit organisation, in 1993 to provide quality nursing education. 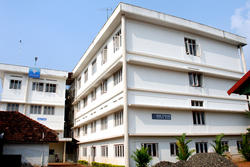 VSET has been running the SKS School of Nursing in the premises of SKS Hospital. Sks Hospital India Pvt Ltd.
Swami Vivekananda School of Nursing offers Dip. in General Nursing and Midwifery. It is equipped with eight beds with bedside lockers and also has cup boards, racks, built-in cup boards, wash basins and adequate furniture. It has sufficient inventory articles, equipments and solutions for the students to practice. There are three manikins in which one is advanced CPR manikin.